Maple Leaf Banner Add On - 4 Sizes! 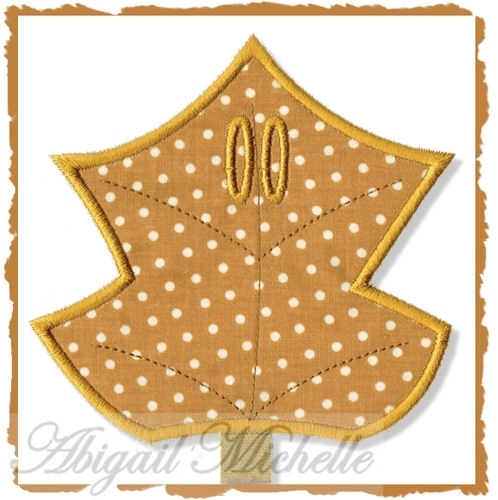 This leaf applique is made to coordinate with our Fun Banner Alphabet, sold separately. Great for your Autumn banners! Includes 4x4, 5x7, 8x8 and 6x10 sizes. Acorn Banner Add On - 4 Sizes! Finish Size 3.87" x 3.73"
Finish Size 4.94" x 5.13"
Finish Size 6.17" x 5.95"
Finish Size 7.83" x 7.57"